Want to know why Maui vacations are dreams come true for so many people? If so, you’ve come to the right place to learn more about “The Valley Isle” of Maui. This island is named for Maui, a demigod. Hawaiian legend says he pulled the chain of Hawaiian Islands up from the sea. The island is famous for countless waterfalls, breathtaking hikes, stunning beaches and resort. As a result, Maui is one of the most popular Hawaiian vacation destinations. A well-known local saying is Maui no ka ‘oi, meaning Maui is the best. November to May is the whale-watching season on Maui. It is one of the best places in the Hawaiian Islands for vacationers to view kohola or humpback whales. 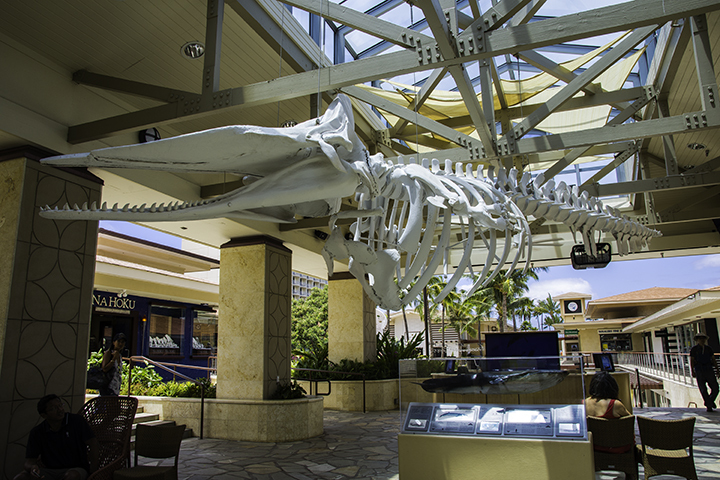 Skeleton of humpback whale in Ka’anapali. Maui’s first sugar mill opened in the early 19th century. It drew immigrants from China, Japan, Puerto Rico, Korea, the Philippines and even from Portugal. Maui’s economy was once based on large scale plantation farming of sugar and pineapple. But now, tourism is now the driving force of Maui’s economy as well as the entire State. Maui is about 48 miles long and 26 miles wide. It is the second largest Hawaiian island with a population of over 131, 500 people. Two volcanoes formed Maui. An isthmus now connects them. The larger volcano on the east side, Haleakala, is over 10,000 feet high. The Valley Isle has more than 80 beaches. With over 120 miles of shoreline, it is one of the most desirable places for Hawaii vacations. The opportunities to find adventure and make long-lasting memories in Maui are endless. Here is a link of popular island activities you can book. But we’ve also highlighted some of our favorite things to do on Maui below. 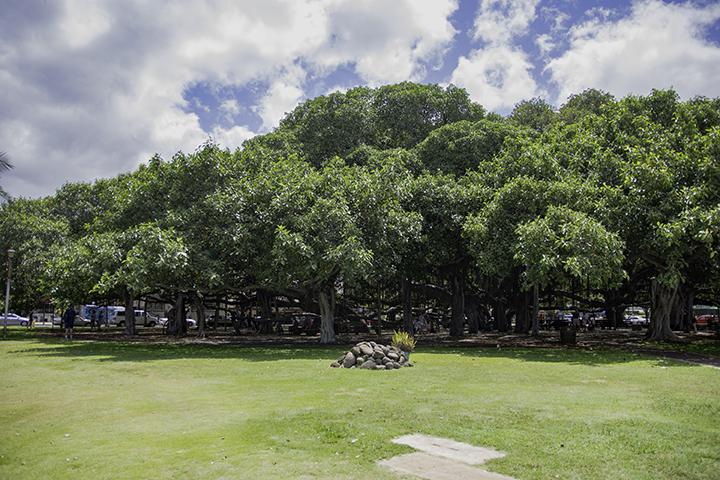 The historic Banyan Tree of Lahaina. Lahaina is a town on the National Register of Historic Places. It was the former capital of the Hawaiian Kingdom in the 19th century. Once known as “Lele,” meaning the town of relentless sun, Lahaina was also a historic whaling harbor. With theaters, museums, luaus, hotels and tours, this town is full of cultural sites and landmarks. On Front Street you can see the impressive Lahaina Banyan Tree. Missionaries planted it in 1873 to commemorate the 50th anniversary of their arrival in Hawaii. The tree covers two thirds of an acre with numerous weaving trunks. Or tour the Hale Kahiko, a traditional thatched-roof village open to the public. The Lahaina Historic Trail also offers a self-guided tour of over 60 sites. The road to Hana begins after the town of Paia and the famous windsurfing beach of Ho’okipa. The road winds eastward along 53 miles surrounded by dozens of waterfalls and rugged seacoast. Twisting through more than 600 turns, this iconic road crosses over nearly 60 bridges. But be careful as some of them are one-lane only. This Hana Highway journey is lined with occasional rest-stops and serene waterfalls. Seven sacred pools in Kiapahulu. 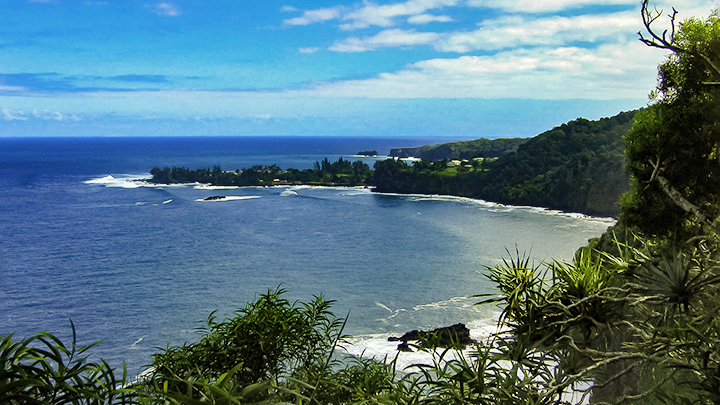 After a long drive, you’ll finally arrive at the quaint and picturesque town of Hana. 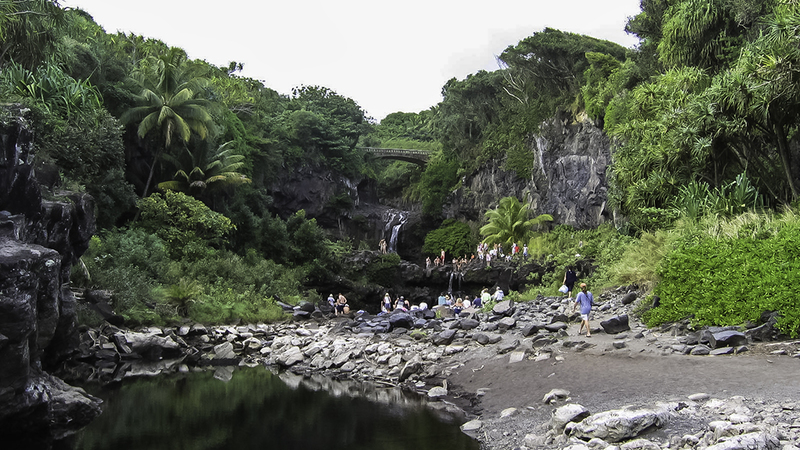 Beyond Hana, you’ll find the idyllic Seven Sacred Pools at Kipahulu. It’s known for its waterfalls, swimming holes, forests and rugged shoreline. If you wanting to add excitement to your honeymoon on Maui, this road trip adventure is a definite must-do. View from the summit of Haleakala. This national park is one of the country’s premier national parks for good reason. People know for it stark natural beauty beauty and awesome vistas. Haleakala is steeped in cultural significance. 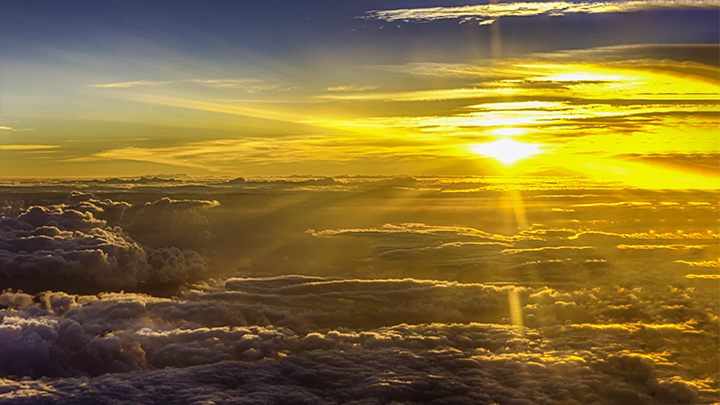 The ancient Hawaiians respected its summit as a wahi pana or legendary place. Hawaiian astronomers also used the area as a sundial and marker of seasons. It is definitely worth adding to your Maui vacation package itinerary. 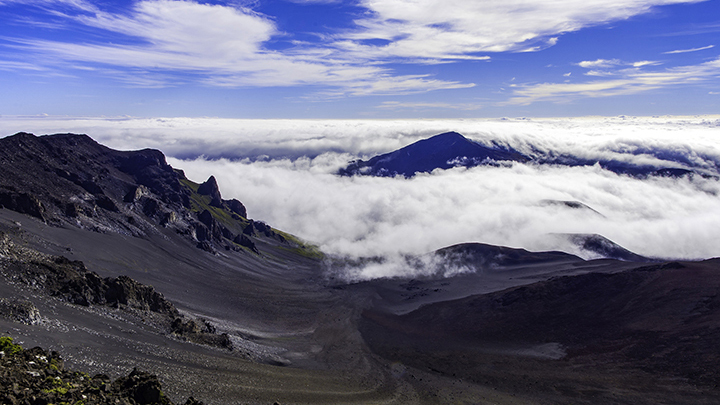 When clouds and mists fill Haleakala Crater, it becomes a sight to behold. A person standing at an overlook can find their shadow on the clouds below. It is not hard to imagine why the ancient Hawaiians valued and respected this sacred place. Makena is one of the largest white sand beaches in Maui. This stretch of land is free from hotels and homes, offering a peaceful alternative to busier beaches. Ka’anapali Beach is a beautiful four miles long stretch of white sand. As a result, it is a highly popular tourist destination area. During the winter months, you can see humpback whales from these glittering shores. 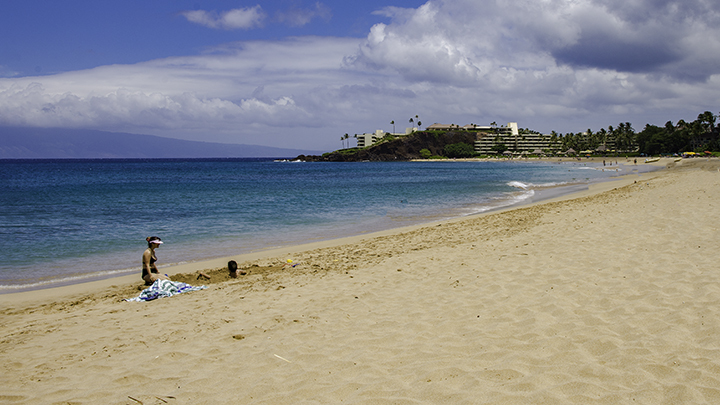 Kapalua Beach has notably gentle waters creating the perfect family environment. This beach is a prime snorkeling location. Napili Beach, with idyllic crescent-shaped shores, is a place to lie in the sand and bask in the sunshine. Red Sand Beach is a beach you will not want to miss. Although not typically a swimming location, its ruby-colored shores make it an unusual coastal attractions in Hawaii. Iao Needle at Iao Valley State Park, another must see on Maui vacations. This park is historically significant. Here, King Kamehameha I triumphed over Kalanikupule in the year 1790, bringing the island of Maui under his rule. 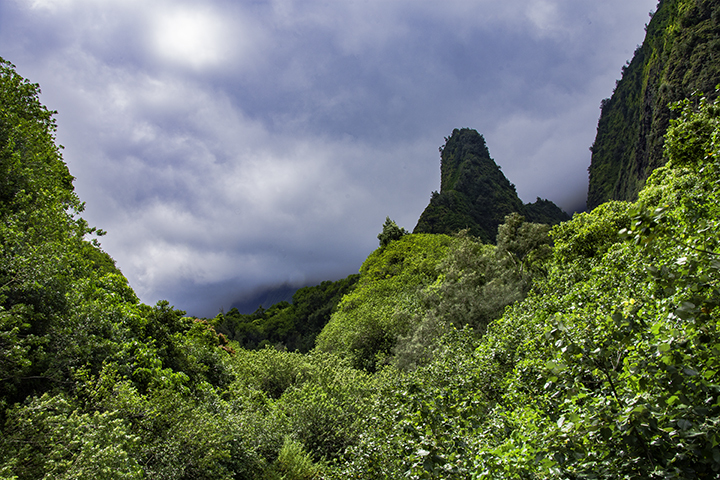 The state park prominently features Iao Needle, a distinctive mountain spire standing at an elevation of 2,250 feet. The Hawaii Nature Center also offers hiking and informative activities in the Iao Valley State Park. It is a fantastic place for families to visit. Lavender farm in Kula Maui. Farm tours have become one of the most popular activities in Hawaii. Maui has many different types to choose from. 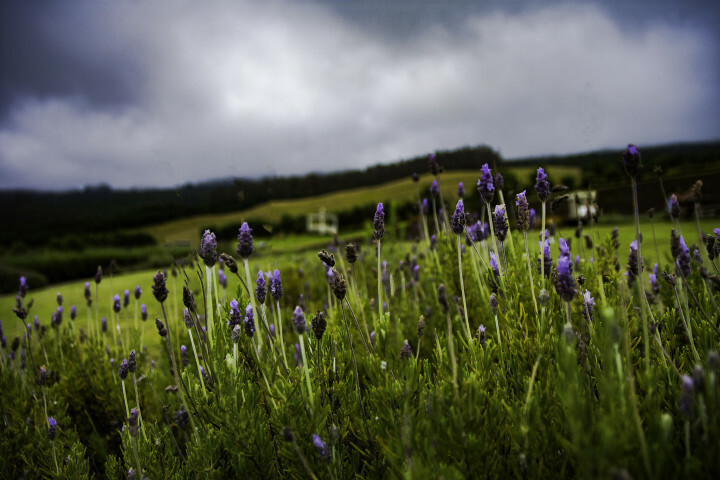 The Ali’i Kula Lavender Farm is a 8.5-acre lavender farm near the slopes of Haleakala. With over 55,000 lavender plants, their soothing aroma and their beautiful colors can have a relaxing effect. Craft classes, gourmet lunches and product-samplings are also available. Another notable farm is O’o Farm in Kula. The farm believes in growing naturally harvested foods. At O’o Farm, you can enjoy a gourmet lunch followed by a guided tour every Monday through Thursday. On Maui, the culinary options are endless. Upcountry Farmer’s Market offers a wide range of seasonal riches. If you like, they can even include fresh local bread fruit, coconut, coffee, lilikoi butter and macadamia nuts. Try goat-milk chocolate truffles and famous cheeses at Surfing Goat Dairy. For casual dining, visit the Aloha Mixed Plate. Shave (not shaved) ice is a popular Hawaiian dessert. And at Ululani’s in Lahaina, give yourself a treat with flavors like tiger’s blood or salted plum. Our Culture and Culinary Tours page gives further details about foods you can enjoy on Maui. For whatever adventure you seek, Panda ® Online can help you plan Maui vacations for you and your family. Also check out our travel tips page for more details on being prepared for a vacation in paradise.